Coaster set with cork tray that not only serve as eco friendly packaging but also serve as a base for the coasters to be used as trivets! Two products in one set! 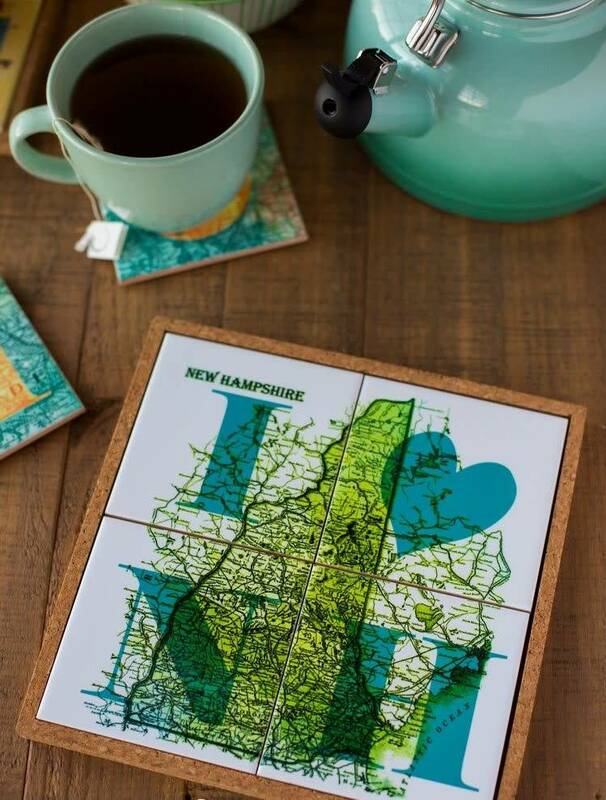 I ❤ State Coasters feature vintage state maps reimagined with the same creative color combinations as the HOME maps to create the retro and modern design trend that allows all you to show your “Local Love”. 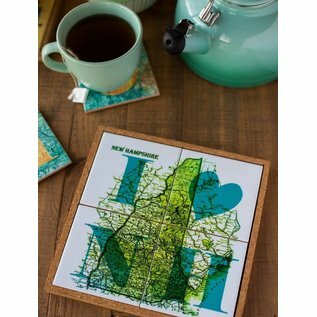 The 4.25” x 4.25” glossy ceramic coasters are packaged puzzle-like in the environmentally friendly patent pending cork tray that doubles as a trivet tray. Coasters can be used individually protecting furniture from wet glasses or hot mugs or all together in the cork tray to protect table tops from hot pots and pans.